Often we get data which is distributed in multiple column sets. 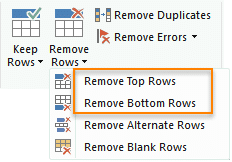 Here is how you can convert it to good data (tabular column format) using Power Query. Watch the video. Sample File download.